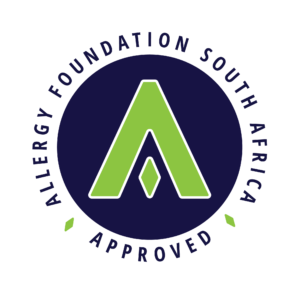 Dis-Chem and The Allergy Foundation of South Africa (AFSA) with our partners Competence Online and the University of Cape Town, have established a partnership to improve training of staff at Dis- Chem clinics, that will allow Dis-Chem to display the AFSA Seal of Approval. This will improve service to patients with allergies, and position Dis-Chem as leaders in providing allergy services and care. Nurses have been signed up at all clinics and are half way through their training. Training is being provided via a blended learning approach comprising 7 online modules divided into 4 courses, each followed by a direct teaching session. Successful completion of the program will allow the individual to receive the UCT/AFSA certificate. Competence Online, our implementation partner, provides a learner management system with interactive content, tracking of client sign-ups and individual completion of modules. The next phase of the training will be extended to all Dis-Chem Pharmacists. Currently the contact sessions (4 sessions of 2 hours each) allows consolidation of knowledge, resolution of questions, and facilitates skill aspects and demonstration of practical techniques.